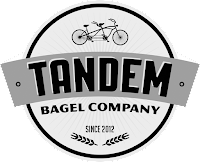 House Made Bagels are our specialty, but we’re so much more than bagels! The Easthampton Community Center Food Pantry - We're proud to support the great work done by the Community Center to help local families. Several times a week, we deliver bagels baked that day to The Food Pantry. Northampton Survival Center - Our Northampton Store donates bagels several times a week to the Survival Center. And many others! We also support a multitude of local organizations with donations of raffle items, food and funds. We have donated to The Cancer Connection, The Emily Williston Library, The Easthampton Friends of Football, The Spirit of Easthampton, Easthampton Holiday Light Fund and to many other great causes! We work with Jim's, a Massachusetts roaster, to provide organic coffee that is ethically sourced. Our relationship with Jim's allows us to provide our customers with shade grown, fair trade, 100 percent organic coffee that is roasted in a plant powered solely by renewable energy sources. Wow! That's something to be proud of!